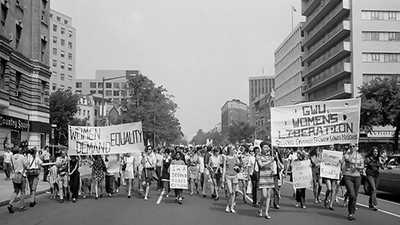 In 1953, when Margaret Sanger and Katharine McCormick went looking for a scientist to develop a birth control pill, they turned to Dr. Gregory Goodwin Pincus. He was an unconventional choice. 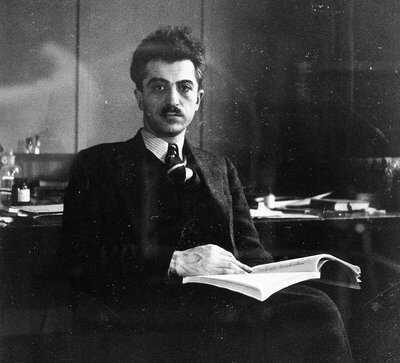 Pincus was working on the fringes of the academic and scientific community, and little of his situation suggested that he could pull off such an enormous undertaking. At a time when most serious scientific research was conducted at universities, Pincus's little foundation in the suburbs of Worcester, Massachusetts, was struggling just to meet payroll each week. Born in 1903 to Russian Jewish immigrants in Woodbine, New Jersey, Pincus won a scholarship to Cornell University, where he excelled in biology. He went on to land an appointment at Harvard as an assistant professor, and soon became known for his creative and innovative research in mammalian sexual physiology. Pincus was a rising star. In 1934, at age 31, Pincus made national headlines by achieving in-vitro fertilization of rabbits. Pincus was decades ahead of his time. But instead of fame, the accomplishment brought notoriety. Aldous Huxley's novel Brave New World had just been published, and the nightmarish story of "fatherless" test tube babies born with no humanity or spirit had captured the public's imagination. Pincus was vilified in the press for his discovery. In the New York Times and Colliers magazine, he was depicted as a "Dr. Frankenstein" who was turning science fiction into reality. In 1936 Pincus published a seminal work titled, "The Eggs of Mammals" that received wide acclaim in the international scientific community -- but it was too late to erase the taint of the test-tube rabbits. Harvard denied him tenure and refused his reappointment. Pincus's career floundered. With the country deep in the Great Depression, Pincus was desperate to find a way to support his wife and two small children. An old friend from Harvard, Hudson Hoagland, came to the rescue. Hoagland invited Pincus to work out of his biology department at Clark University in Worcester, Massachusetts, as a visiting professor of zoology. Pincus accepted the offer. The pair worked well together, and in 1944, Hoagland and Pincus established the Worcester Foundation for Experimental Biology. The foundation soon found a niche doing applied research, especially in the burgeoning area of steroids, but it was still a struggle to stay solvent. To save money, Pincus did double duty as the lab's janitor. 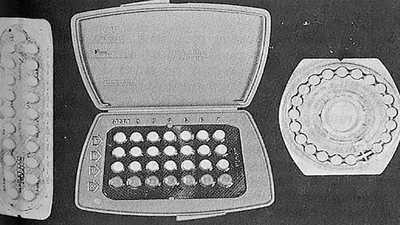 When Sanger and McCormick approached Pincus in 1953 about developing a new form of contraception, he was confident he could deliver. Pincus was aware of a study showing that progesterone could work as an effective anti-ovulent, and he had a hunch it would prove to be a good contraceptive drug. With funding from McCormick, in a matter of months Pincus and his colleague Min-Chueh Chang proved that repeated injections of progesterone stopped ovulation in animals. Pincus's real challenge, however, would be to invent an inexpensive pill form of the drug. In a stroke of good timing, chemists working for two separate drug companies had recently created orally effective forms of synthetic progesteronen. Although both pharmaceutical companies were wary of using their new compounds for contraceptive purposes, both Syntex and Searle allowed Pincus to use the formulatins in his preliminary human studies. With the pills in hand, Pincus began collaborating with the well known fertility specialist, Dr. John Rock on human trials in Massachusetts. 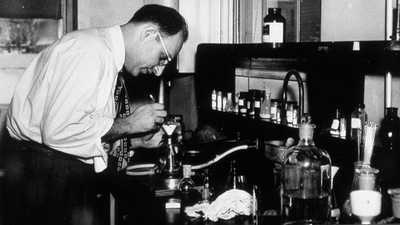 After initial success with small trials, Rock and Pincus launched large-scale human trials for the Pill in Puerto Rico in 1956, using Searle's formulation. When the U.S. Food and Drug Administration approved Searle's drug for contraceptive use in 1960, Pincus received international acclaim for his work. In 1965 he was elected to the National Academy of Sciences. His foundation flourished. However, just two years later, at the age of 64, he would die a painful death from a bone marrow disease caused by exposure to lab chemicals. In the early 1950s, the last thing Searle wanted to get involved in was the controversial area of birth control.